The Cities of Maryville and Alcoa formed "MACTO" - The Maryville-Alcoa Central Traffic Operations group to coordinate a centralized communications network of traffic coordination throughout the Cities. Our goal is to integrate traffic operations between Cities in order to provide an efficient and well-coordinated traffic experience for citizens. If you believe the hazard requires immediate action, please call 911. ​For non-emergency traffic conditions, please note the location and call (865) 273-3500. Please call (865) 380-4921 for any traffic signal problems such as burned out bulbs or malfunctions. The city of Alcoa currently dispatches all traffic signal maintenance requests 24 hrs a day, 7 days a week in both Maryville and Alcoa. 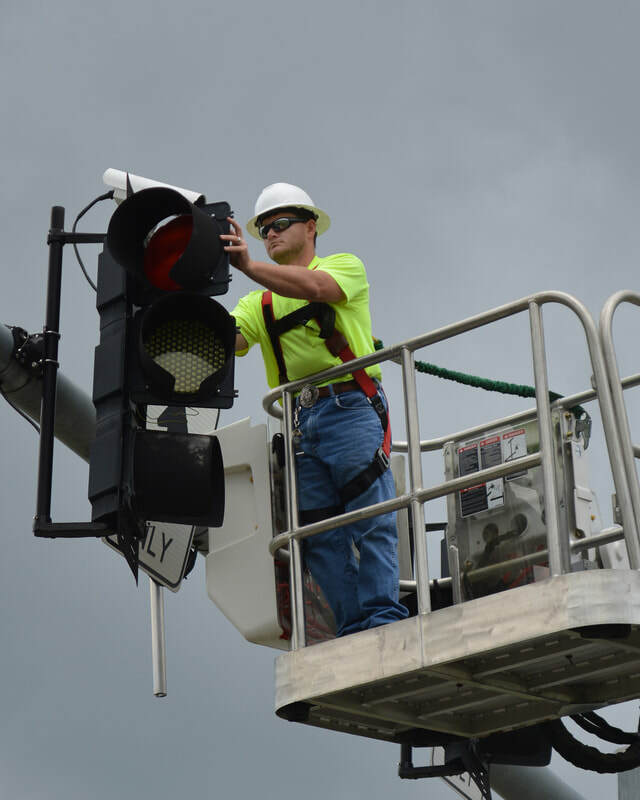 For timing problems, call City Engineer, Kevin Stoltenberg at (865) 273-3500 Monday through Friday, 8:00 a.m. - 5:00 p.m.
Requests for traffic signals can be made to Engineering and Public Works (865) 273-3500. Prior to signal installation, certain substantial traffic criteria must be met. Engineers will thoroughly evaluate potential intersections to determine if a traffic signal is warranted for the requested location. There are currently 73 traffic signals operated by MACTO within Maryville and Alcoa.